I got so excited about the last post I wrote about feather leg warmers that I just had to figure out how I can make some myself. I found this great video on YouTube about how to make your own leg warmers from old sweaters and I right away realized how easy it would be to add some feathers to one of them. She shows in the video how easy it is to make some super cute leg warmers. All you need to do is cut the sleeves off an old sweater hem up the on end and then add some decorations, like feathers. Here is the super easy way to add feathers to these leg warmers. The secret is the magic of feather fringe. Just attach the fringe around either the top or bottom end of the leg warmer and vuala, there you go. Take a look at our full selection of feather fringes at FeatherStore.com. Leg warmers are a great way to get out of the house in that mini skirt while it's freezing cold outside. Also leg warmers are super in fashion now. 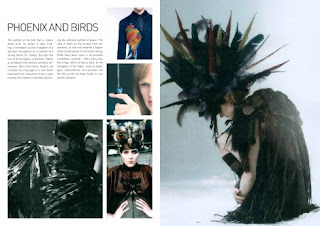 As far as feathers go these leg warmers are amazing opportunities to add feathers to your outfit. 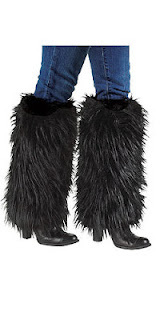 Feather leg warmers are a great way to add the life and color of feathers to whatever it is you are wearing. They can go with jeans, sweat pants and as we already mentioned that mini skirt that you thought would have to wait until the spring. They are just thing you want to have at the ski lodge to catch the eyes of all those around. First up we have these Black Feather Fox Leg Warmers from Fabulous Furs. 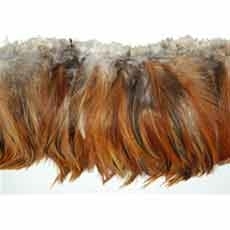 Next are these Wild Nature Long Fluffy Faux Feather Leg Warmers from Pink Queen. It is that time of year again that your daily outfits have to include those extra winter articles such as gloves and hats. Keeping the neck warm in the cold weather is always one of the most important things to make sure about. Until this year I was always wearing scarves but this year I totally switched over to neck warmers. So like everything else, why not add feathers to them! Now any simple fleece neck warmer can easily be transformed into a warm feather masterpiece that you can wear every day. Ok are you ready for this, it is super simple. Get yourself a plain fleece neck warmer and the feather boa of your choice. Now cut the feather boa into pieces the length of your neck warmer. Then attach the strips of feather boa along the length of your neck warmer using two or three simple stitches. Attach them all around the neck warmer spacing them just enough so that they are just touching each other. Once you’re finished covering your neck warmer you are done. Have fun and send us pictures! !